Was in 2000 that Manuel Batista began to be deeply connected with music. Full of heavy tunes, from heavy metal to black, the love for music began, and the first connection to the music itself was when he began to learn guitar. Later in 2003 he "discovers" electronic music, Psy Trance, going at his first open air party. From that moment till then, his passion for electronic music grew exponentially. In 2005 he starts playing DJ set’s in some places just for fun, but a couple of years later, with the love of mixing reaching an higher level, things tends to be more serious and he began to play in some clubs, open air parties and bigger events. In 2012 he starts an advanced dj grade, that give him a more refined and technical vision of electronic music theory and production. In the same year, in order to go further, he starts an academic graduation in electronic music and musical production and since then share his time between production and mixing. 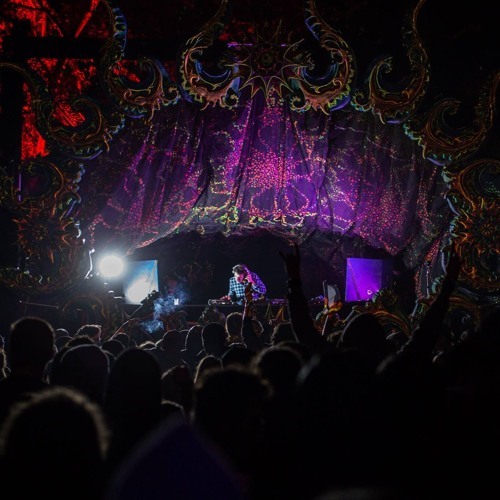 His set's can follow several paths that may travel in the darker side of Psy Trance or can follow more groovy psychedelic trails. The order is to simply innovate and improve, no matter what kind of music style. Without rules or limits.